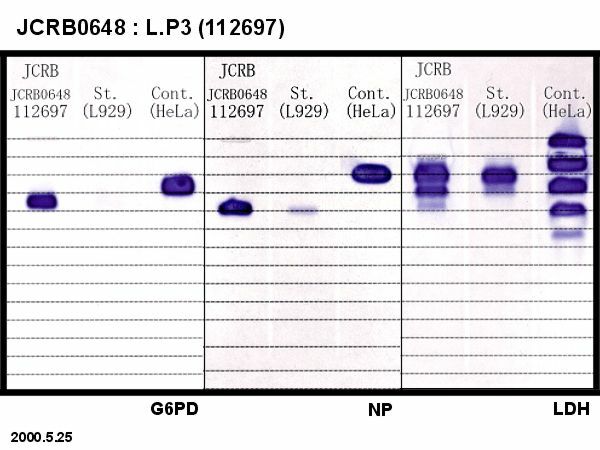 Serum free cell line of the mouse L929 cell line. 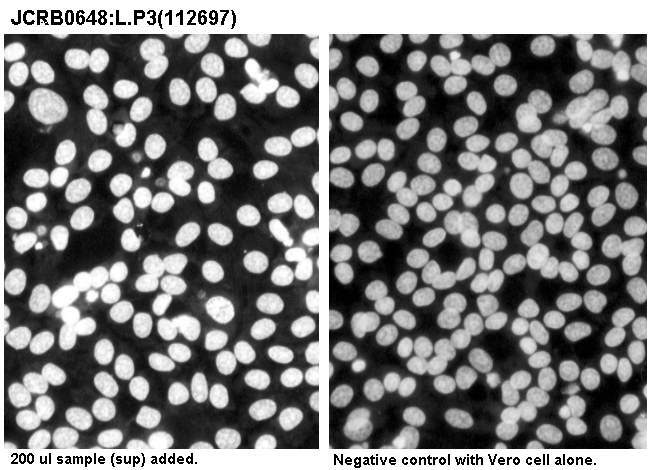 cells were established by Katsuta,H. 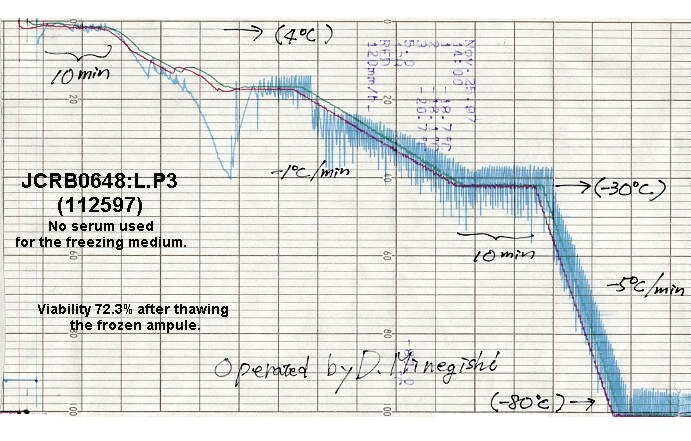 et.al. by serum free medium. 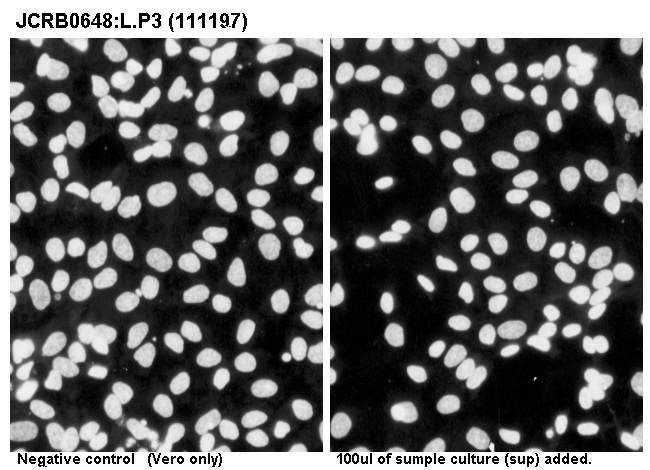 This cell line was surpplied from Riken Genebank for the replacement to the JCRB0605. Using serum free medium all the time is essential. 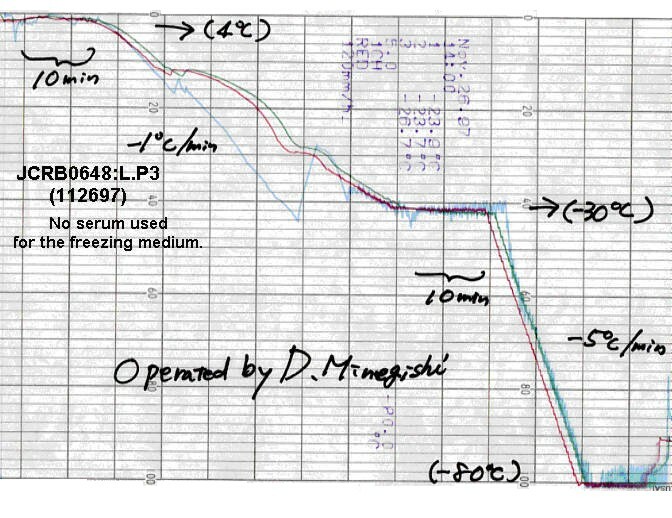 Although the DM160 medium was indicated but it can be replaced to the DM201 medium. Serum free. 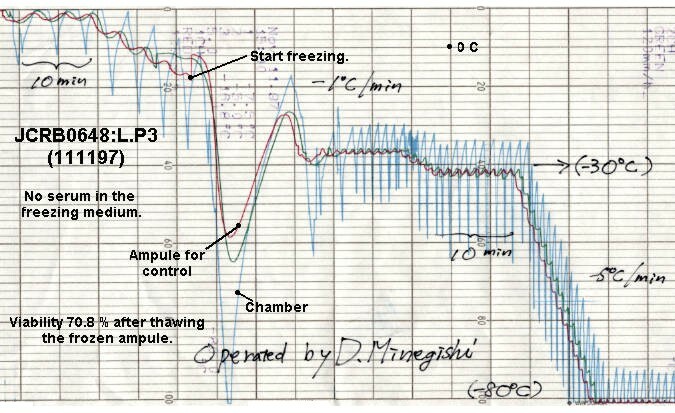 Frozen medium FM-1 established by Ohno,T. and destributed from Kyokuto Seiyaku Kogyo.Co. used. 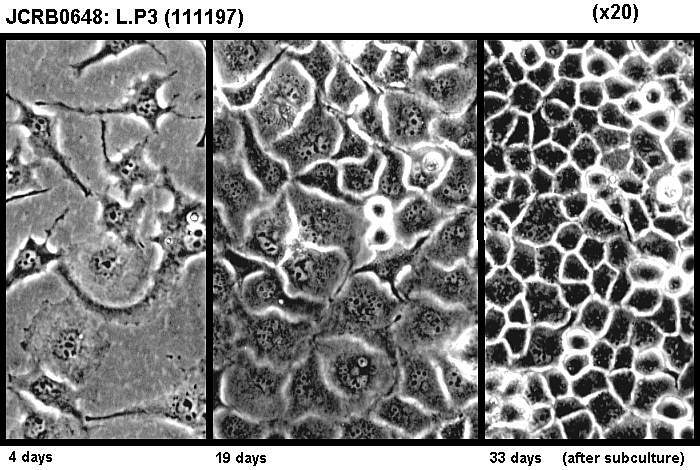 Secretion of a novel cell-adhesive protein distinct from fibronectin by mouse L.P3 cells growing in protein- and lipid-free synthetic medium. 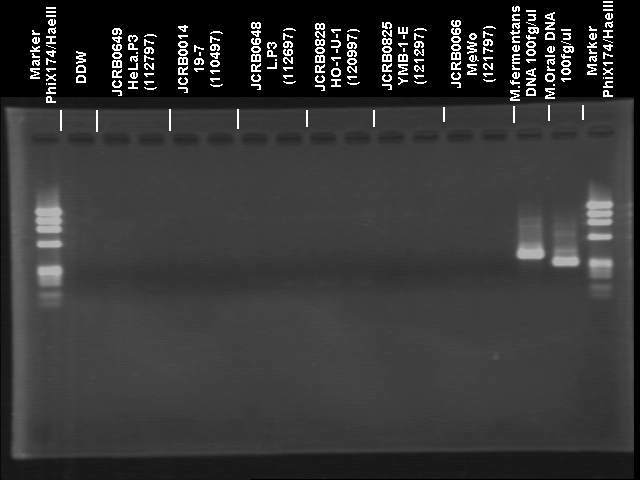 Absence of essential fatty acids in mammalian cell strains cultured in lipid-and protein-free chemically defined synthetic media. DM160 medium only. No serum added. 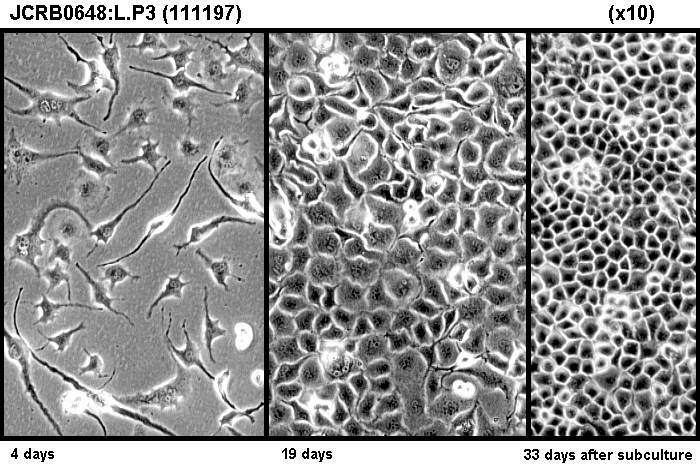 Cells are harvested with scraper (rubber policeman). 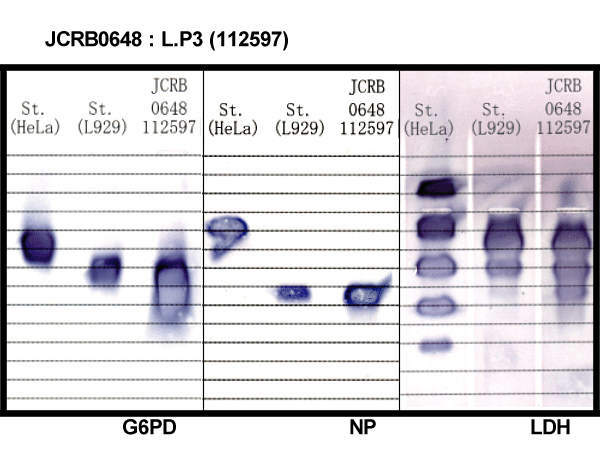 G6PD, NP, LDH examined. Mouse confirmed.